Event in a Tent Returns! Due to the success of the last Event in a Tent that took place at Muckrach in July, we put on another Event in a Tent in October. 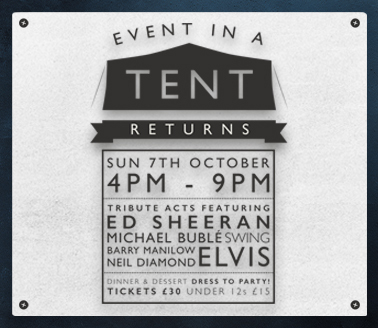 On Sunday 7th October Event in a Tent Returns happened at Muckrach. Where Father & Son Dan & Andrew East performed for us. Artists included Ed Sheeran, Michael Buble, Barry Manilow, Neil Diamond and Elvis. 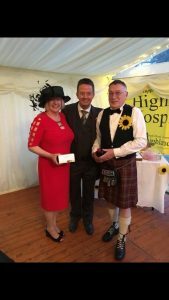 All money raised went to the Highland Hospice charity. Thank you all for joining us and helping us to raise money for charity. “Absolutely fantastic weekend up at Muckrach Hotel too many fab moments to pick just one. 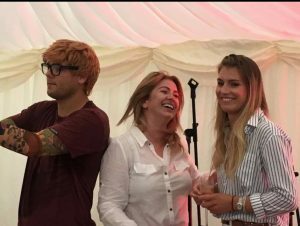 “Thank you for a brilliant week end, we had such a good time, the events in the tent were just great….loved it all! Elvis was good but Ed Sheeran definately stole the show! We would love to see him again!